Heads of state, the U.S. government and the world's wealthiest man all sit in Bodybilt Chairs. 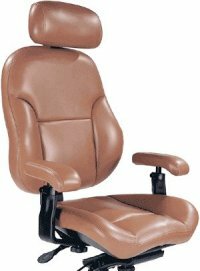 Once offering a variety of other manufacturers' ergonomic chairs, we refined our office chair solutions to those that are most often doctor recommended -- Bodybilt epitomizes that. Look No Further -- Best Pricing, Best Service -- Our prices are better than manufacturer direct pricing. Since all Bodybilt chairs are custom built to order, you will have to configure a chair to your specifications to view our better than 40 percent off manufacturer list pricing.